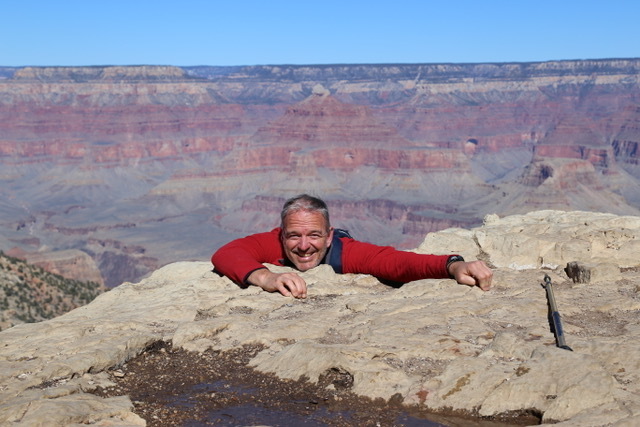 Mark has enjoyed living and working most of his adult life abroad, in such countries as Russia, Switzerland, UK, France, Denmark, Sweden and Belgium. Wherever he lived, he was grateful for the local ROCOR church serving as an anchor for him, a home away from home. 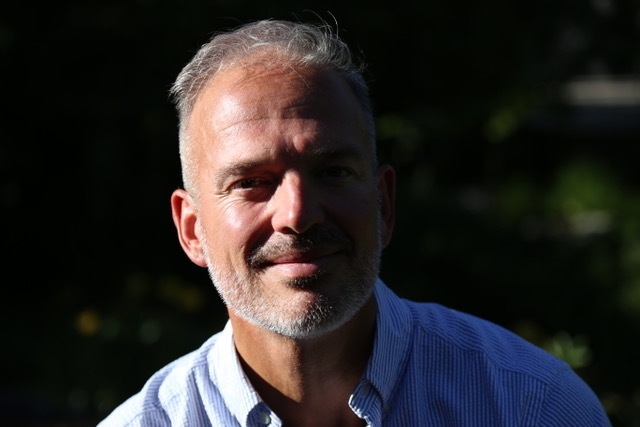 Two years ago, Mark decided to quit life as a Harvard MBA educated business executive, and instead “add meaning to life” as a Cancer Coach and supporter of the FFA, moving back to the States. During his spare time, he enjoys outdoor activities in his new home in Idaho, together with his best four legged friend, Lapa. Born in 1948 in Kassel, Germany, of Russian refugees from the Soviet Union. His family moved to the United States in 1950. Completed his primary and secondary education in Cleveland, Ohio, and in 1974 graduated from the Holy Trinity Theological Seminary in Jordanville, New York. Continued studies in a Master’s program in Soviet Area Studies at Norwich and New York Universities. In 1972 ordained deacon by Metropolitan Philaret (Voznesensky), Primate of the Russian Orthodox Church Outside of Russia (ROCOR), and assigned to the Holy Virgin Protection Church in Nyack, New York. In 1974 ordained to the priesthood by Metropolitan Philaret and assigned to the Meeting of the Lord parish in Stratford, Connecticut. 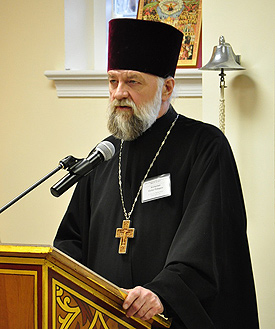 In 1977 transferred as assistant pastor to the Russian Orthodox Cathedral of St. John the Baptist in Washington, DC, and became its rector in 1980. In 1978 in response to increasing oppression of believers in the Soviet Union, co-founded and chaired the Committee for the Defense of Orthodox Christians and became editor of its biannual journal, The Orthodox Monitor. The purpose of the Committee was to speak out in support of the victims of religious persecution, to lend them and their families financial and spiritual support, and to bring their plight to the attention of the international community. At the same time served on the advisory board of CREED (Christian Effort for Emerging Democracies) and on the editorial board of the Russian quarterly Russkoe Vozrozhdenie (Russian Renaissance), and acted as special advisor to President Ronald Reagan on religious affairs. 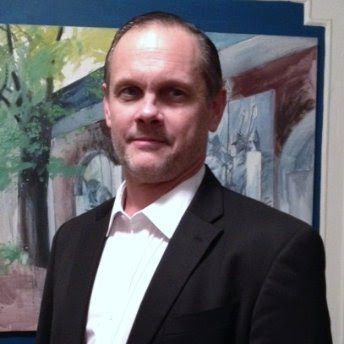 From 1977 to 2007 worked as an international radio broadcaster for the Voice of America Russian Service. In this capacity he edited the popular weekly “Religion in Our Life” program, heard by millions in Russian-speaking lands, broadcast religious services, and wrote commentary on religion and human rights. From 1974 to 1994 was editor of Trezvon, the only Russian-language religious children’s monthly journal of the time. From 2005 to 2006 served as Chairman of the Pre-Sobor Commission charged with the task of organizing the 4th All-Diaspora Church Council in San Francisco. In 2007 was a member of the official Russian Orthodox Church Outside of Russia’s delegation at the signing of the Act of Canonical Communion with the Moscow Patriarchate. In 2006 the Synod of Bishops of ROCOR assigned him to the position of the Executive Director of the Fund for Assistance of the Russian Orthodox Outside of Russia. Fr. Victor is a senior member of the Council of the Russian Orthodox Outside of Russia’s Eastern American Diocese. Fr. Victor Potapov is married and has three children and seven grandchildren. In the midst of a career in New York's fine-art world, Nicholas was suddenly recruited by the Synod of the Church Abroad to help in its struggle for property rights in the Holy Land. This turned into almost two decades of work helping the Church, including being the Synod's liaison with a fine team of dedicated and exceptionally-talented members of the FFA. Alena Plavsic has been at FFA since 2008 and still can't believe her luck, because she gets to do what she loves and meets amazing Orthodox Christians from all over the world on a daily basis. Alena has a B.A. in French and an M.A. in Journalism. Alena is an Orthodox music geek, loves BBC dramas and cooking. She and her family of six live in Northern MN. Veronika finished her education at University of Michigan in Political Science. She always planned to use her degree to help the the struggling. Shortly after finishing her degree she moved to Russia with her husband, who was finishing his seminary education. 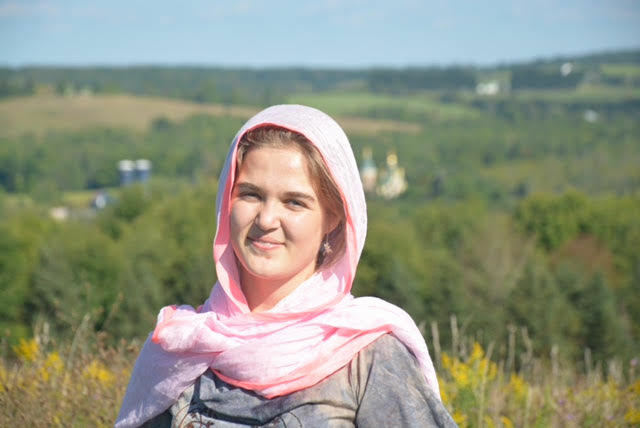 After spending nearly 6 years in MN while her husband served as a priest there, Veronika and her family now reside in Moscow again, where she continues to serve the needy! She continues her work as the Communications Manager for FFA that she began in MN and uses social media platforms to promote the needs of the Church's most vulnerable. When she is not working, she enjoys spending time with her family exploring nature, traveling, knitting, and reading. She started working for FFA because she wanted to make some positive impact in the church's life. Dasha is currently in school studying Dental Hygiene and works at a pediatric dental office. If you need to find her, check the barn that she horseback rides at or the choir loft!